Moana's Chili Pepper is one of the classic patterns for Christmas Island, as well as many other destinations, including Mexico, Belize, Los Roques, and even the Bahamas. 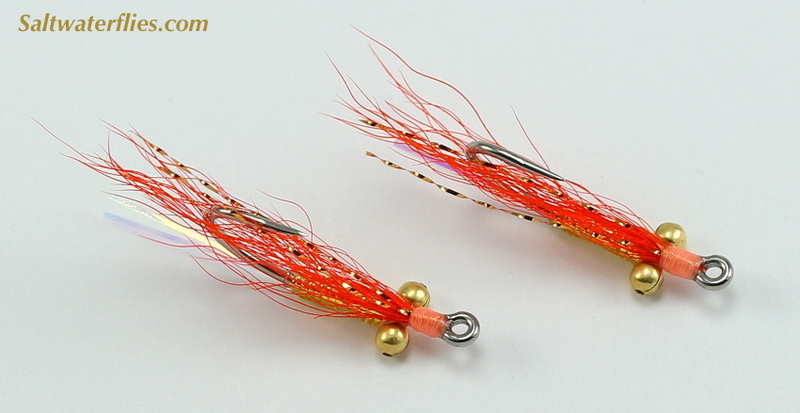 Small sparse fly with hues of orange and gold; available in both a lead eye and a bead chain eye version to match water depth and conditions. 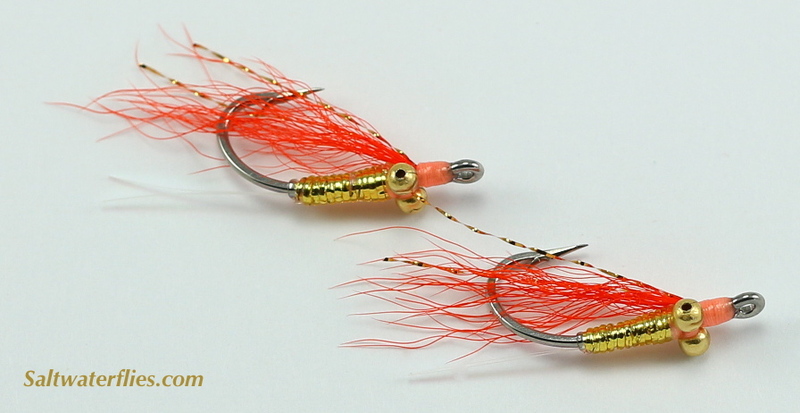 The Chili Pepper Bonefish flies are approximately 1 1/4 inches (3.5 cm) in length. Similar patterns: Christmas Island Special.